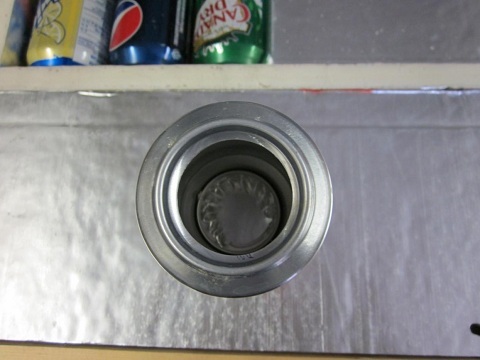 To punch holes in the cans he used a 1-1/2″ hole saw and a drill press on the bottom of the cans. 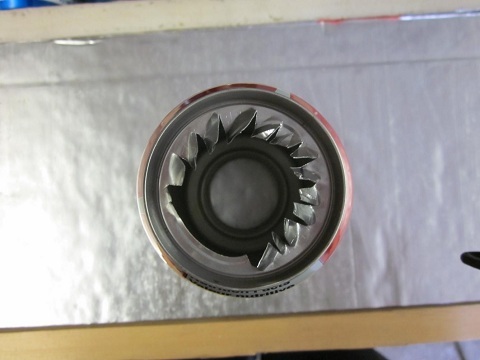 For the top of the cans he simply took a tin snips and bent the fins at an angle to help create some turbulence which will promote heat transfer to the air. The panel is still getting tweaked now with a larger and higher flow fan to get the outlet temperature down a bit and increase the efficiency (less heat lost to the environment). To control the fan he is simply using a snap disc thermal switch that turns on at 110F and turns off at 90F. 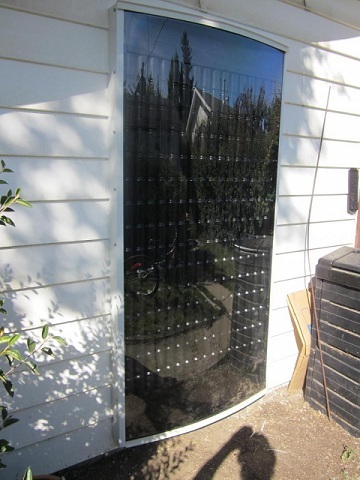 To prevent backflow through the collector at night he is using a dryer damper. For more details on the project see Madmike’s forum thread.